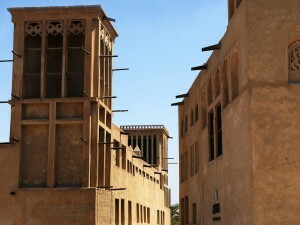 In a first, Dubai’s Department of Tourism and Commerce Marketing (Dubai Tourism) has organised a series of workshops, inviting hotels, tourism agencies and environmental organisations to review the progress of the Dubai Sustainable Tourism (DST) initiative. Its aim is to explore ways how sustainability standards can be further enhanced to support effective resource management across various hotel classifications, and to contribute effectively to raising professional awareness towards the environment, the economy, and the use of natural resources. These focus groups are a tangible demonstration of Dubai Tourism’s continuing commitment to work closely with its tourism and hospitality stakeholders to promote sustainable tourism and achieve the goals set out in the Tourism Vision 2020. Connecting 40 leading hotel operators, owners and representatives from hotel establishments, as well as environmental organisations, the event offered an interactive platform to discuss knowledge-sharing to discuss the feasibility and implementation of timelines for 19 new industry sustainability standards developed by DST. 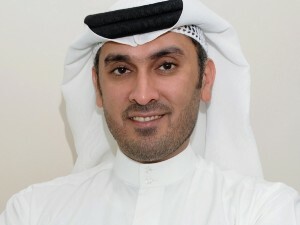 Yousuf Lootah, Executive Director, Tourism Development & Investments, Dubai Tourism, said, “Working in line with the vision of His Highness Sheikh Mohammed bin Rashid Al Maktoum, Vice President and Prime Minister of the UAE and Ruler of Dubai, to transform Dubai into a sustainable environmental destination, the credible and feasible sustainability standards and certification schemes are key tools in the transformation of our tourism industry, working in line with the city’s overall clean energy and sustainable development targets”. 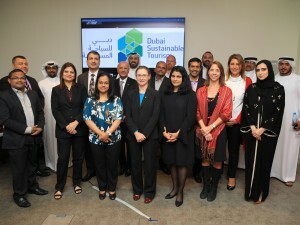 Dubai’s Department of Tourism and Commerce Marketing (DTCM) announced the winners of the inaugural Dubai Sustainable Tourism Awards at a ceremony held at The Westin Dubai Al Habtoor City. Comprising 17 different categories, the Awards celebrate the role of Dubai’s hotels and tourism companies in advancing sustainability within the emirate’s tourism industry. The event was attended by His Excellency Helal Saeed Almarri, Director General of Dubai Tourism; His Excellency Ahmad Butti Al Muhairbi, Secretary General, Dubai Supreme Council of Energy, Yousuf Lootah, Executive Director – Tourism Development & Investments, Dubai Tourism and over 600 players within Dubai’s hospitality and travel sectors. 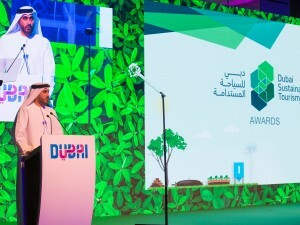 The Dubai Sustainable Tourism Awards received 151 entries from tourism and hotel establishments ranging from five-star hotels and resorts to guest houses and desert camps. In addition to the 17 winners, Dubai Tourism also honoured the Awards’ three Strategic Partners – Dubai Supreme Council of Energy, Dubai Municipality and Dubai Electricity and Water Authority. The special ‘Sustainability Champion’ award was won by Abdul Quddus Sheikh of Armani Hotel for its sustainability leadership.